Construction of the new Los Fresnos City Hall is going well and, if everything goes as planned, it should be completed by year’s end. A ground breaking ceremony was held on Oct. 29 at the site where the $3.2 million facility is being built. The 11,500-square-foot building will be twice the size of the existing city hall that houses the local police department that uses an office space as a holding room. Although PD will take over the old city hall building, a future plan is to relocate the department near the new city hall and the EMS building. 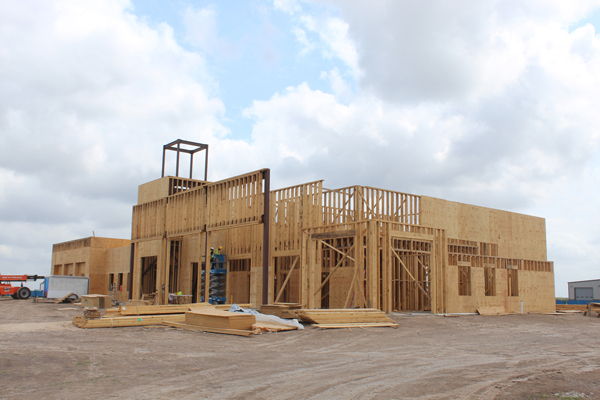 Also, the new building will be large enough to house Los Fresnos Community Development Corp. and the Chamber of Commerce.